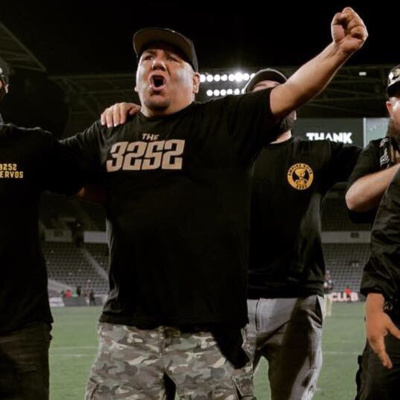 Mauricio Fascio, @m28blue is the Vice President of the 3252, @LAFC3252, the official supporters union of Los Angeles Football Club. The 3252 is comprised of no less than 9 smaller supporters groups that come together to support the club as one unified body. Fascio, a part of the District 9 Ultras - Let it be known that District 9 Ultras are not just about soccer; they believe in social commitment and a life of service among members and to the community. They are a family oriented supporter group that represents the love for the beautiful game through respect, freedom of choice and conviction to embrace a new cause and banner. Two Special Offers for my listeners: Go to https://www.patreon.com/onthetouchline and for $10.00 per month you can join a private soccer group for supporters of this show. Only available for the first 24 of my listeners. Connect in a private community with an exclusive question and answer session with a former, current or future guest once a month. Go to https://www.duktigbrand.com/ Place your order. At checkout enter the promo code BROADWATER19 to save 10%. Never miss an episode of this show every Wednesday and Saturday by subscribing on: Sponsor the show? Have a great product or service you want to tell the soccer community about? For $100 you can sponsor this show. https://www.patreon.com/onthetouchline Listen to the show on these platforms: Apple Podcasts Stitcher Spotify Google Podcasts TuneIn Radio Please be sure to share the podcast with those in the soccer community by tagging me on Instagram and Twitter @SoccerCoachJB. Rob Porter, @RJPCoach, is what he refers to as a late-starter in terms of his coaching journey. He's worked his way up to earn his UEFA B coaching badge and now works for the Oxford United girls academy. Having learned from both "old school" football coaches and more modern day coaches he believes in fun, respect - player to coach and coach to player, and commitment are all things part of his philosophy. Rob asks questions on a weekly a basis on soccer Twitter that are thoughtful, interesting, and create great discussions. Give him a follow. Two Special Offers for my listeners: Go to https://www.patreon.com/onthetouchline and for $10.00 per month you can join a private soccer group for supporters of this show. Only available for the first 24 of my listeners. Connect in a private community with an exclusive question and answer session with a former, current or future guest once a month. Go to https://www.duktigbrand.com/ Place your order. At checkout enter the promo code BROADWATER19 to save 10%. Never miss an episode of this show every Wednesday and Saturday by subscribing on: Sponsor the show? Have a great product or service you want to tell the soccer community about? For $100 you can sponsor this show. https://www.patreon.com/onthetouchline Listen to the show on these platforms: Apple Podcasts Stitcher Spotify Google Podcasts TuneIn Radio Please be sure to share the podcast with those in the soccer community by tagging me on Instagram and Twitter @SoccerCoachJB. Few college coaches can match Becky Burleigh’s ability to bring a team ready to challenge for each season’s conference and national titles on such a consistent basis. 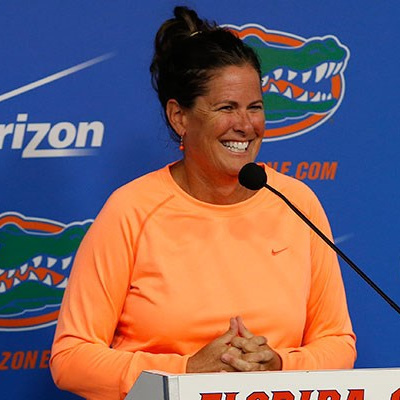 There is no question that Burleigh stunned the soccer community when the Florida program she started in 1995 claimed the 1998 NCAA crown in just its fourth season of play. But focusing on that obvious achievement doesn't give due credit to the job Burleigh does year-in and year-out as a tactician of the sport, developing players and promoting the sport at local, state and national levels. Those early successes have evolved into the Gator soccer team being a regular among the nation’s ranked teams. Over the course of the program’s 23 years, Florida has: 21 NCAA Championships’ berths (1996-2001; 2003-2017) Two NCAA College Cup appearances (1998, 2001), winning NCAA title in 1998 14 SEC team titles (1996-2001; 2006-2010; 2012-13, 2015) 12 SEC Tournament titles (1996-01; 2004; 2007, 2010, 2012, 2015-16) Two Special Offers for my listeners: Go to https://www.patreon.com/onthetouchline and for $10.00 per month you can join a private soccer group for supporters of this show. Only available for the first 24 of my listeners. Connect in a private community with an exclusive question and answer session with a former, current or future guest once a month. Go to https://www.duktigbrand.com/ Place your order. At checkout enter the promo code BROADWATER19 to save 10%. Never miss an episode of this show every Wednesday and Saturday by subscribing on: Sponsor the show? Have a great product or service you want to tell the soccer community about? For $100 you can sponsor this show. https://www.patreon.com/onthetouchline Listen to the show on these platforms: Apple Podcasts Stitcher Spotify Google Podcasts TuneIn Radio Please be sure to share the podcast with those in the soccer community by tagging me on Instagram and Twitter @SoccerCoachJB. Welcome to season 2 of "On the Touchline". My sincerest thanks for listening, subscribing, and sharing the show. Season 1 was a tremendous success! The first guest in season 2 is Jon Townsend, @jon_townsend3. 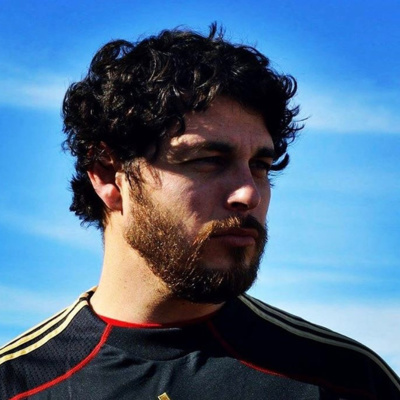 Jon is a senior writer at "These Footy Times", coach, and former player who played collegiately and in Europe. Jon is also joining the show as a recurring co-host during season 2 along with Aaron Rodgers, head coach at Ohio Women's Soccer. Two Special Offers for my listeners: Go to https://www.patreon.com/onthetouchline and for $10.00 per month you can join a private soccer group for supporters of this show. Only available for the first 24 of my listeners. Connect in a private community with an exclusive question and answer session with a former, current or future guest once a month. Go to https://www.duktigbrand.com/ Place your order. At checkout enter the promo code BROADWATER19 to save 10%. Never miss an episode of this show every Wednesday and Saturday by subscribing on: Sponsor the show? Have a great product or service you want to tell the soccer community about? For $100 you can sponsor this show. https://www.patreon.com/onthetouchline Listen to the show on these platforms: Apple Podcasts Stitcher Spotify Google Podcasts TuneIn Radio Please be sure to share the podcast with those in the soccer community by tagging me on Instagram and Twitter @SoccerCoachJB. This is the season 1 finale. 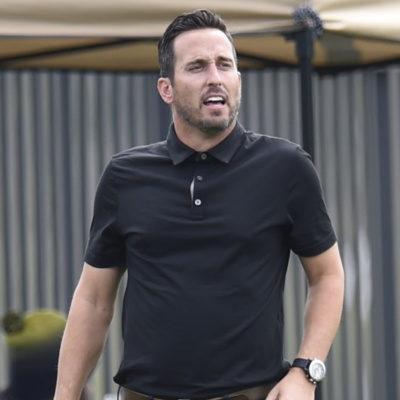 In Episode 30 of #Onthetouchline, Jason Broadwater @SoccerCoachJB talks to Jo Jo Juarez @juarez2560, the head coach of All Saints Episcopal School and coach at FC Dallas- East Texas. A proper training environment, adaptability, and what Jo Jo wants from the game are some of the topics we discuss in this episode. Two Special Offers for my listeners: Go to https://www.patreon.com/onthetouchline and for $10.00 per month you can join a private soccer group for supporters of this show. Only available for the first 24 of my listeners. Connect in a private community with an exclusive question and answer session with a former, current or future guest once a month. Go to https://www.duktigbrand.com/ Place your order. At checkout enter the promo code BROADWATER19 to save 10%. Never miss an episode of this show every Wednesday and Saturday by subscribing on: Sponsor the show? Have a great product or service you want to tell the soccer community about? For $100 you can sponsor this show. https://www.patreon.com/onthetouchline Listen to the show on these platforms: Apple Podcasts Stitcher Spotify Google Podcasts TuneIn Radio Please be sure to share the podcast with those in the soccer community by tagging me on Instagram and Twitter @SoccerCoachJB. 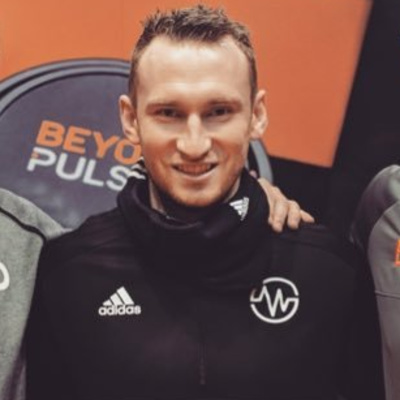 In Episode 29 of #Onthetouchline, Jason Broadwater @SoccerCoachJB talks to Matt Danaher, @MattDanaher, the founder and creator of the @SoccerPulseApp After a playing career that included playing in the USSF Development Academy, NCAA Division I for four years, Premier Development League for 3 years, and abroad for Salthill Devon F.C. in Ireland and FCA Darmstadt in Germany, Matt wanted to create an app that could be used by coaches and players to track how they were feeling on a daily basis. ​When used correctly, SoccerPulse changes the way coaches prepare for sessions by making it clear which days should be used to have a demanding session, and which days it is necessary to back off and have a recovery session. Above all, Matt's goal when creating the app was to raise the standard for the level of coaching that players deserve, to help them avoid injuries, and allow players to get the most from their training. Want to start using SoccerPulse for your club or players? https://www.soccerpulse.net/ Two Special Offers for my listeners: Go to https://www.patreon.com/onthetouchline and for $10.00 per month you can join a private soccer group for supporters of this show. Only available for the first 24 of my listeners. Connect in a private community with an exclusive question and answer session with a former, current or future guest once a month. Go to https://www.duktigbrand.com/ Place your order. At checkout enter the promo code BROADWATER19 to save 10%. Never miss an episode of this show every Wednesday and Saturday by subscribing on: Sponsor the show? Have a great product or service you want to tell the soccer community about? For $100 you can sponsor this show. https://www.patreon.com/onthetouchline Listen to the show on these platforms: Apple Podcasts Stitcher Spotify Google Podcasts TuneIn Radio Please be sure to share the podcast with those in the soccer community by tagging me on Instagram and Twitter @SoccerCoachJB. In Episode 28 of #Onthetouchline, Jason Broadwater @SoccerCoachJB talks to Jay Hammond, @ Coach_JayT on Instagram. 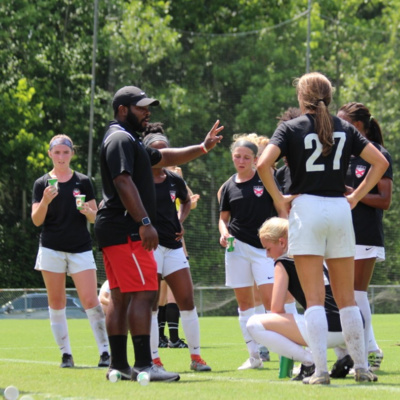 Hammond is a coach at Birmingham United Soccer Association in Birmingham, AL. “You either win or you learn.” That is a quote coach Jay Hammond subscribes to in how he approaches the game of soccer. Hammond is a coach at Birmingham United Soccer Association in Birmingham, AL. 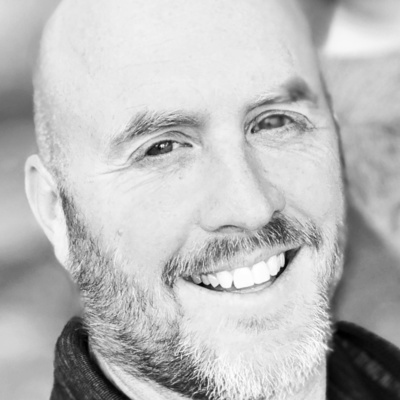 A previous guest of this podcast, Nick Holt is a mutal coaching colleague of Jay and I’s and helped connect us in a roundabout sort of way. Like many coaches I interview, I got connected with Jay via social media. Success means creating a legacy. Jay has been influenced by the Messiah Method. Those not familiar – Messiah College here in Pennsylvania has been one of the most successful college programs in the country. During a 10 year period their men’s and women’s programs won 472 times, lost 31 times, and drew 20 times. So what is the Messiah Method? · Pursue a higher purpose than winning. · Be intentional about everything. · Recruit the “Both-And” players. · Cultivate team chemistry. · Link training to the match. · Choreograph match day. · Play to a standard. Jay talks about how he has used this to shape goal setting and action plans with his players. Hammond also talks about grit and determination. Is it something a player is born with? Or, do players learn how to have grit and determination? Special Offer for my listeners: Go to https://www.duktigbrand.com/ Place your order. At checkout enter the promo code BROADWATER19 to save 10%. Never miss an episode of this show every Wednesday and Saturday by subscribing on: Apple Podcasts Stitcher Spotify Google Podcasts TuneIn Radio You can financially support the show with a small monthly contribution. Please be sure to share the podcast with those in the soccer community by tagging me on Instagram and Twitter @SoccerCoachJB. In this bonus episode of #Onthetouchline, episode 27, Jason Broadwater @SoccerCoachJB narrates a blog post from a former guest, Erica Suter, @FitSoccerQueen. I like the mashup of soccer and strength and conditioning work. That's why I have guests from that community on from time to time. 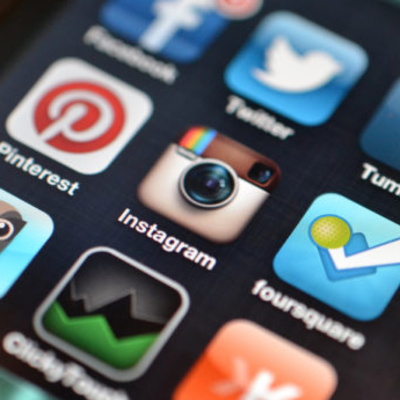 "Social Media Is Ruining Soccer Strength and Conditioning and Here’s Why" is blog Erica wrote recently. Follow Erica's work at https://ericasuter.com/ Special Offer for my listeners: Go to https://www.duktigbrand.com/ Place your order. At checkout enter the promo code BROADWATER19 to save 10%. Never miss an episode of this show every Wednesday and Saturday by subscribing on: Apple Podcasts Stitcher Spotify Google Podcasts TuneIn Radio You can financially support the show with a small monthly contribution. Please be sure to share the podcast with those in the soccer community by tagging me on Instagram and Twitter @SoccerCoachJB. In Episode 26 of #Onthetouchline, Jason Broadwater @SoccerCoachJB talks to Skye Eddy Bruce, @SkyeEddyBruce. She is the founder of the Soccer Parenting Association. The mission of the Soccer Parenting Association is to inspire players by empowering parents. We believe a strong and supportive community of level-headed and like-minded parents and coaches will inspire players. We believe a more collaborative environment between coach, parent, club, and player is in the best interest of player development. We believe when parents seek information about how to best support their player, great things will happen. We believe youth soccer parents will be difference makers when it comes to improving the game. Special Offer for my listeners: Go to https://www.duktigbrand.com/ Place your order. At checkout enter the promo code BROADWATER19 to save 10%. Never miss an episode of this show every Wednesday and Saturday by subscribing on: Apple Podcasts Stitcher Spotify Google Podcasts TuneIn Radio You can financially support the show with a small monthly contribution. Please be sure to share the podcast with those in the soccer community by tagging me on Instagram and Twitter @SoccerCoachJB. In Episode 25 of #Onthetouchline, Jason Broadwater @SoccerCoachJB talks to Bryan Gettman, @CoachBryanG After every Dark Age is a Renaissance. That is a phrase I heard when I was an undergraduate student. Some times you don't realize you're going through a rough patch until you're out of it. Bryan Gettman is experiencing that renaissance right now as a coach. 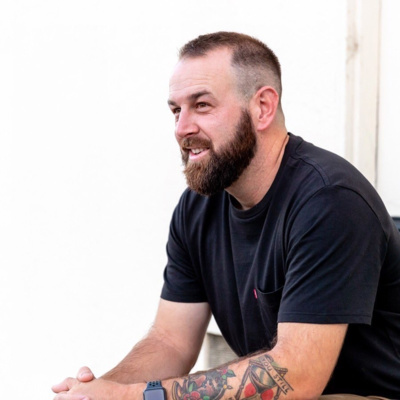 Growing up in a military family, Gettman lived all over the United States and had periods of his life where he entered and exited the game of soccer. It wasn't until his daughter started playing that he found his calling as a coach. He is currently the head boys coach at Spring Grove Area High School near York, PA. He also coaches at the club level for FC Ballyhoo. Gettman talks about his journey and how he found Spartan Races as a hobby during a rough stretch in his life. I think you'll find Bryan relatable and resembling a coach you might know in your local community. We need more Bryan Gettman's in our game. Special Offer for my listeners: Go to https://www.duktigbrand.com/ Place your order. At checkout enter the promo code BROADWATER19 to save 10%. Never miss an episode of this show every Wednesday and Saturday by subscribing on: Apple Podcasts Stitcher Spotify Google Podcasts TuneIn Radio You can financially support the show with a small monthly contribution. Please be sure to share the podcast with those in the soccer community by tagging me on Instagram and Twitter @SoccerCoachJB. 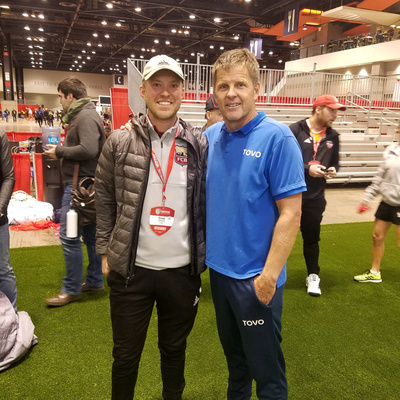 In Episode 24 of #Onthetouchline, Jason Broadwater @SoccerCoachJB talks to Aaron Rodgers, @OhioSoccerCoach. How do you make people feel? That is a phrase Aaron Rodgers, the head women’s soccer coach at Ohio University has in his Twitter profile. I lead with this question to start our conversation and how he developed this mindset as a coach. Building a desirable culture is something each and everyone one of us as coaches strives for with our teams or programs. It is something players seek when selecting a program or club. Here’s a quote from Rodgers. “John Wooden said this, “I want the players to be the best athlete for the team – not the best athlete on the team.” I admire that Aaron has played the long game of getting to the Division 1 level as a coach. He volunteered, worked in the club game, worked his way up the college ranks. If you’ve been following me on social media you’ll know this love affair that has developed in coaching goal keepers. I’m taking steps to enhance my knowledge and licensure when it comes to the position. Aaron was a goalkeeper in his playing days. He talks about how this has benefited him as a coach throughout his career and how this has helped him understand and read the game. Special Offer for my listeners: Go to https://www.duktigbrand.com/ Place your order. At checkout enter the promo code BROADWATER19 to save 10%. Never miss an episode of this show every Wednesday and Saturday by subscribing on: Apple Podcasts Stitcher Spotify Google Podcasts TuneIn Radio You can financially support the show with a small monthly contribution. Please be sure to share the podcast with those in the soccer community by tagging me on Instagram and Twitter @SoccerCoachJB. In Episode 23 of #Onthetouchline, Jason Broadwater @SoccerCoachJB talks to Chris Kessell, @TheChrisKessell. “Black kids in my neighborhood don’t play soccer.” That is the thinking Chris Kessell has encountered throughout his career. 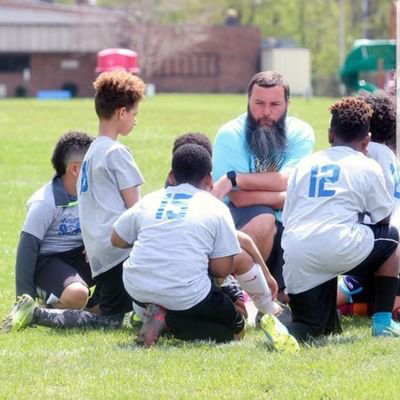 Kessell is the president and a coach at West Side Soccer Club in Charleston, WV and works with primarily under-served and under-represented communities – mostly African American, rural, and low-income. 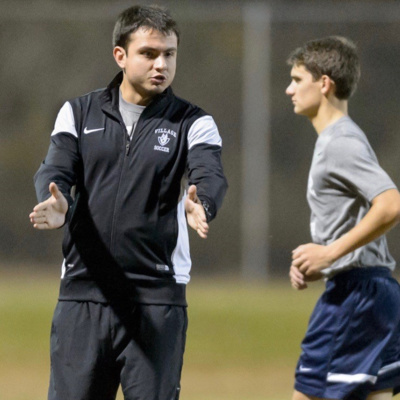 Chris Kessell wants each of his players to make soccer a lifelong activity. Black, white, Hispanic doesn’t matter. 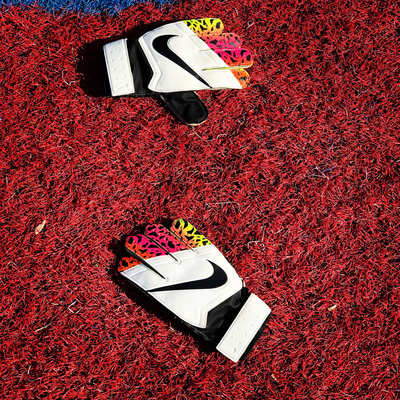 Soccer isn’t just for some – it is for all. He helped lead the creation of a futsal court to start a futsal meet up program on Friday’s in the Charleston community. He is bringing soccer to youth players who may have never touched a soccer ball before. It is no secret – I am drawn to passionate, all-in coaches. Chris Kessell cares deeply about soccer in the United States and soccer within the state of West Virginia. He has been an outspoken critic of the United States Soccer Federation. He has been an advocate for promotion/relegation as a normal way of life for us as soccer fans here in the US. And, he ran for the US Soccer Federation Vice Presidency last fall. Special Offer for my listeners: Go to https://www.duktigbrand.com/ Place your order. At checkout enter the promo code BROADWATER19 to save 10%. Never miss an episode of this show by subscribing on: Apple Podcasts Stitcher Spotify Google Podcasts TuneIn Radio You can financially support the show with a small monthly contribution. Please be sure to share the podcast with those in the soccer community by tagging me on Instagram and Twitter @SoccerCoachJB. This is a special bonus episode of the On the Touchline podcast. 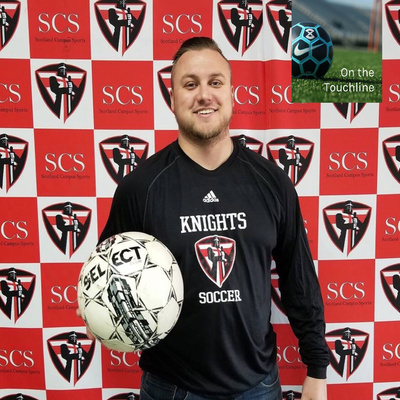 In Episode 22 of #Onthetouchline, Jason Broadwater @SoccerCoachJB plays the audio from a recent goal keeper training session. Why record yourself? The audio and video never lie. It is a fantastic way to grow and evolve as a coach or player. I love training goal keepers because of the one on one nature of the position. I can be more involved and connected to their development. Please be sure to share the podcast with those in the soccer community by tagging me on Instagram and Twitter @SoccerCoachJB. Leave a 5-star rating and review on Apple Podcasts! 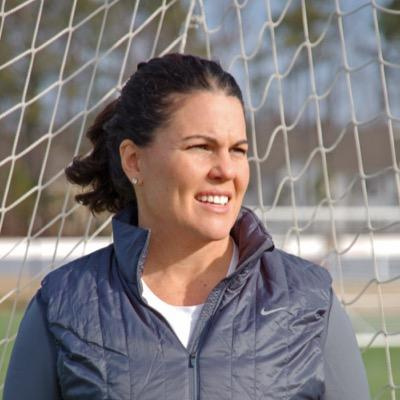 In Episode 21 of #Onthetouchline, Jason Broadwater @SoccerCoachJB talks to Nikki Izzo-Brown, @WVUIzzoBrown, the head women's soccer coach at West Virginia University. Growing up in Rochester, NY Nikki Izzo Brown played a number of sports but soccer was drew her greatest interest. In 1992 she was a college All American at the University of Rochester as an outside back. After graduating from University of Rochester – she took on a Graduate Assistantship at West Virginia Wesleyan. She was later elevated to head coach in 1994. In 1995 – a career changing opportunity presented itself for Izzo-Brown. She could take over a newly formed Division 1 program at West Virginia University in Morgantown, West Virginia. 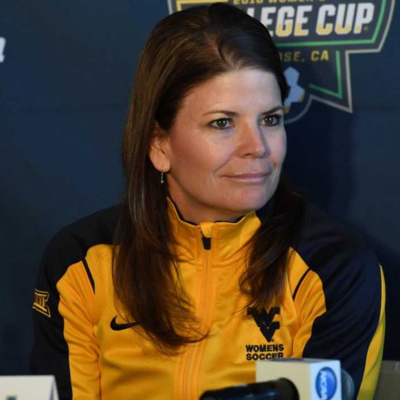 WVU as adding women’s soccer and they needed a trail blazer. Izzo-Brown was up for the challenge. 24 years later – she has been the only head coach in program history and has never had a losing season. · Highlights include a College Cup runner up finish in 2016. · Countless All-American and Academic All-American players. · Players who have played in the Women’s World Cup, Olympics and selected to play professionally both domestically and abroad. · Two of her players were recently drafted in the latest NWSL draft – Biannca St. George and Grace Cutler. Read more about Izzo-Brown at https://wvusports.com/staff.aspx?staff=378 Please be sure to share the podcast with those in the soccer community by tagging me on Instagram and Twitter @SoccerCoachJB. Leave a 5-star rating and review on Apple Podcasts! In Episode 20 of #Onthetouchline, Jason Broadwater @SoccerCoachJB talks to Zach Snyder. 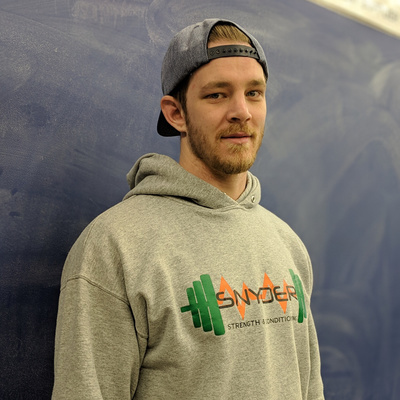 Zach is the owner of Snyder Strength and Conditioning in Mount Pleasant, PA, southeast of Pittsburgh. Check out his work: https://www.snyderstrength.com/ A former D-1 wrestler at Penn State University, Zach is different than other guests I have had on this show. He's never played soccer. However, he trains and works with a number of soccer players when it comes to maximizing their fitness but also helping with injury prevention. Zach is fascinated by coaching psychology and getting into the minds of his athletes when it comes to developing the positive self talk needed to be successful as an athlete. This episode is brought to you by Flipboard. Visit https://flipboard.com Please be sure to share the podcast with those in the soccer community by tagging me on Instagram and Twitter @SoccerCoachJB. Leave a 5-star rating and review on Apple Podcasts! In Episode 19 of #Onthetouchline, Jason Broadwater @SoccerCoachJB talks to Angela Nicholas Tolsma, @AngelaNix23 the head women's soccer coach at Medaille College @MedailleWSoccer in Buffalo, NY. I love coaches who know their "why". Angela is a great example of a person who knows why she got into coaching and why she wants inspire young players to become their best. Angela is also super passionate about the sport. Think you'll find her energy infectious. A former D-1 player at the University of Buffalo, Angela has worked at the club, high school and now college levels. This episode is brought to you by Flipboard. Visit https://flipboard.com Please be sure to share the podcast with those in the soccer community by tagging me on Instagram and Twitter @SoccerCoachJB. Leave a 5-star rating and review on Apple Podcasts! In Episode 18 of #Onthetouchline, Jason Broadwater @SoccerCoachJB talks to Drew Campbell, @FCDrewCampbell. 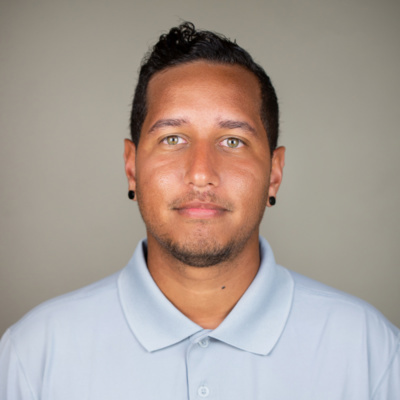 Drew is currently a club soccer coach in Boulder, Colorado working at the 9v9 level. He has experience coaching high school as well as middle school. He talks about how soccer has weaved in and out of his life at various times. I love Drew's introspective nature. He is a deeper think. You'll hear his take on parental involvement and US Soccer as a whole. This episode is brought to you by Flipboard. Visit https://flipboard.com Please be sure to share the podcast with those in the soccer community by tagging me on Instagram and Twitter @SoccerCoachJB. Leave a 5-star rating and review on Apple Podcasts! In Episode 17 of #Onthetouchline, @SoccerCoachJB talks to Patty La Bella @PattyLaBella12. Patty is one of the co-hosts of the Women's World Football Show, @WWFSHOW. I wanted to do a dive into the women's game in the US. Who better than to have Patty come on the show. Patty is a marketing writer and sports reporter from Southern California. 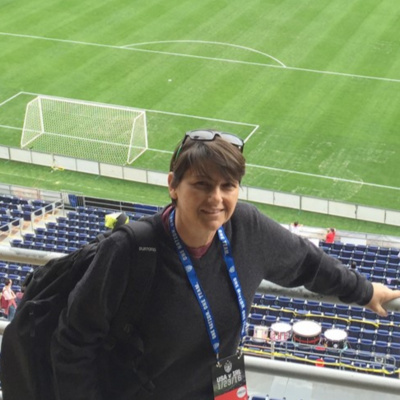 She covers the U.S. Women’s National Team and National Women’s Soccer League for AXS.com and The Women’s Game. Patty is currently credentialed with FIFA and U.S. Soccer. We talk about her background and how she got into covering women's soccer, the state of the game in the US, a fun exercise of what comes to mind when I name a player and what we're doing right and wrong when it comes to women's soccer in the US. This episode is brought to you by Flipboard. Visit https://flipboard.com Please be sure to share the podcast with those in the soccer community by tagging me on Instagram and Twitter @SoccerCoachJB. Leave a 5-star rating and review on Apple Podcasts! 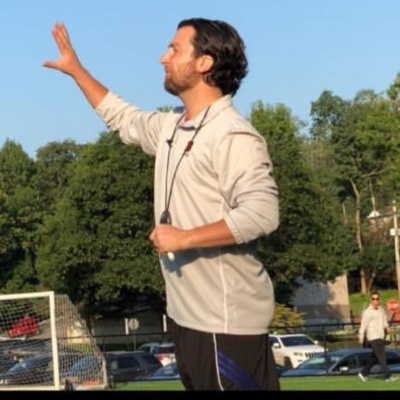 In Episode 16 of #Onthetouchline, @SoccerCoachJB talks to John Pranjic, @ThatCroatianGuy, 3four3 coaching educator and host of the 3four3 podcast. Give the free coaching course a try at https://343coaching.com/ I love John's authentic, unvarnished look at American soccer. He has been a massive influence on me and my development as a coach and part of the reason why I started this podcast. John shares how he traveled almost 5 hours at one time to learn from the people who would become his mentors. He talks about doing whatever it takes in this game to be successful. He also talks about how flawed the American system is when it comes to individual teams and the cookie cutter approach taken by US Soccer. This episode is brought to you by Flipboard. Visit https://flipboard.com Please be sure to share the podcast with those in the soccer community by tagging me on Instagram and Twitter @SoccerCoachJB. Leave a 5-star rating and review on Apple Podcasts! 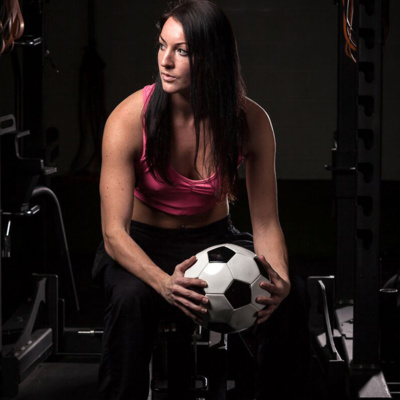 In Episode 15 of #Onthetouchline, @SoccerCoachJB talks to Erica Suter, @FitSoccerQueen Erica trains athletes - mostly soccer players - in Baltimore, MD. She played college soccer at Johns Hopkins University in Baltimore. She has some really great thoughts on consistency and commitment when it comes to training. True player development is a marathon. It's not a light switch someone can turn on. It takes time. She also gives a balanced answer to the burning question of sport specialization vs playing multiple sports. This episode is brought to you by Flipboard. Visit https://flipboard.com Please be sure to share the podcast with those in the soccer community by tagging me on Instagram and Twitter @SoccerCoachJB. Leave a 5-star rating and review on Apple Podcasts! In Episode 14 of #Onthetouchline, @SoccerCoachJB talks to Rudy Roediger (Ray- da- ger). 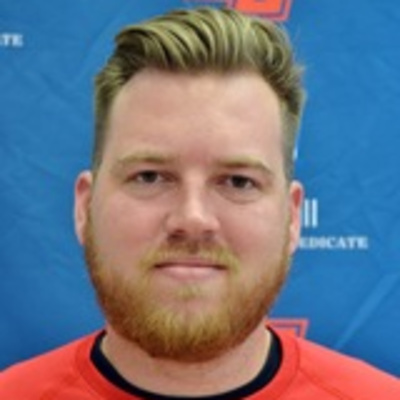 Roediger @Ruudsports is the head men's and women's soccer coach at Lackawanna College in Scranton, PA. Roediger has done a lot in the game of soccer. From working internationally to working at the youth and college levels here in the US. He is a team culture first coach. I think you'll enjoy his take on creating that desirable culture we covet as coaches. Rudy is also a road less traveled guy. Some of my most favorite coaches, players, and parents are those who find their path - not because someone told them This episode is brought to you by Flipboard. Visit https://flipboard.com Please be sure to share the podcast with those in the soccer community by tagging me on Instagram and Twitter @SoccerCoachJB. Leave a 5-star rating and review on Apple Podcasts! Episode 13: Shay Haddow, Alpha Girls Soccer Academy, @AlphaGirlsSoccer on Instagram. In Episode 13 of #Onthetouchline, @SoccerCoachJB talks to Shay Haddow. Haddow is the owner of Alpha Girls Soccer in Sacramento, CA and passionate advocate for young girls and women in the game of soccer. 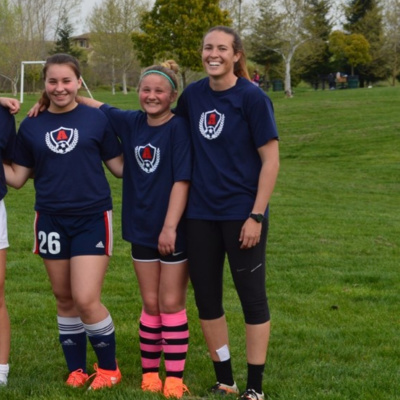 A former Division-1 soccer player, Haddow talks about her experience growing up in Utah, navigating the youth soccer game to play college at Virginia Commonwealth University and then later at Utah State. She is now an entrepreneur in Sacramento and runs Alpha Girls Soccer Academy with a strong emphasis on building the confidence and perseverance of young girls and women in the game of soccer. Learn more about Alpha Girls Soccer Academy https://alphagirlsoccer.com/ This episode is brought to you by Flipboard. Visit https://flipboard.com Please be sure to share the podcast with those in the soccer community by tagging me on Instagram and Twitter @SoccerCoachJB. Leave a 5-star rating and review on Apple Podcasts! 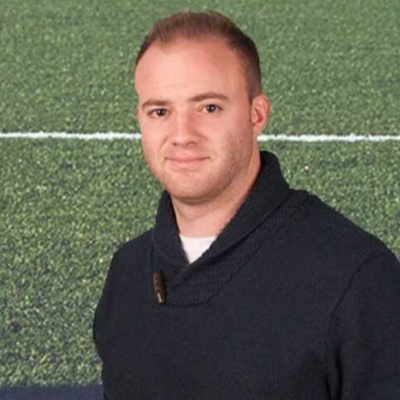 @SoccerCoachJB talks to Dustin Wise, @WiseSoccerCoach in Episode 12 of #Onthetouchline. 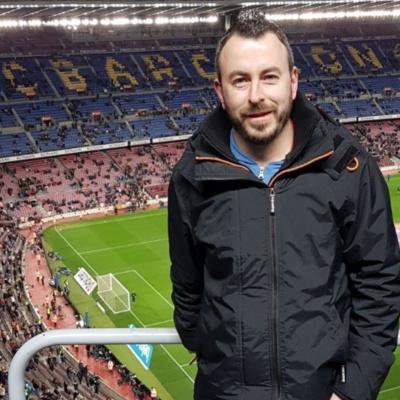 Dustin shares his experience playing abroad in Germany as well as taking on a new challenge with Scotland Campus Sports as their first ever head coach in soccer. He also talks about the relationships he has built in the game of soccer and how hard it is as times to move on from a team and group of players. You can support the #OntheTouchline podcast in one of two ways. 1)By making a small monthly contribution to the show at https://anchor.fm/onthetouchline. Or, 2) by sharing the show on social media using the #Onthetouchline or tagging me @SoccerCoachJB on Twitter or Instagram. DM's are always open. If you're using Apple podcasts, please leave a 5-star rating and review. New episodes available every Wednesday and Saturday morning. If you like the show, tell a friend in the soccer community. 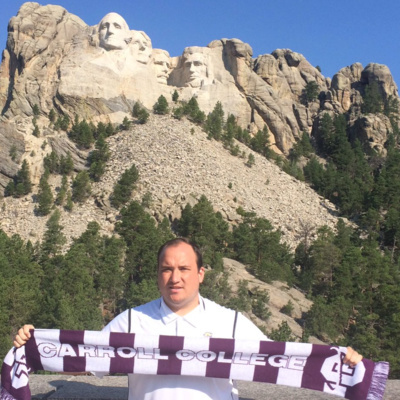 Episode 11: Colin Baker, @CBSoccerGuy, Carroll College, Montana. 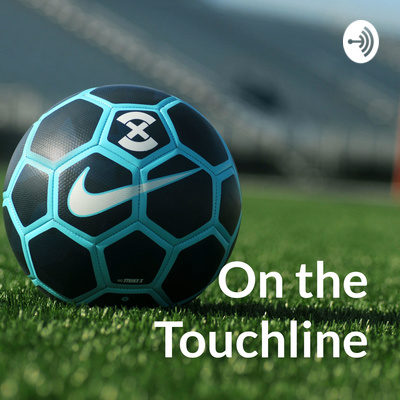 In Episode 11 of #OntheTouchline, @SoccerCoachJB talks with Colin Baker, @CBSoccerGuy, assistant men's soccer coach at Carroll College. "Be the difference", is a phrase Colin uses when recruiting players to his program. He elaborates on what that means and why that's important in the players he recruits. He also encourages his players to fail. That has largely shaped his coaching philosophy. Colin is also a strong mental health advocate and shares how journaling has helped him get through some tough times in his life. You can support this show by going to http://anchor.fm/onthetouchline and make a small monthly contribution. Or, by sharing the show on social media using the #OntheTouchline. DM's are always open @SoccerCoachJB on Twitter and Instagram. If you listen on Apple Podcasts, leave a five star rating and review. @SoccerCoachJB talks to coach Nick Holt, @CoachNickH in Episode 10 of #OntheTouchline. 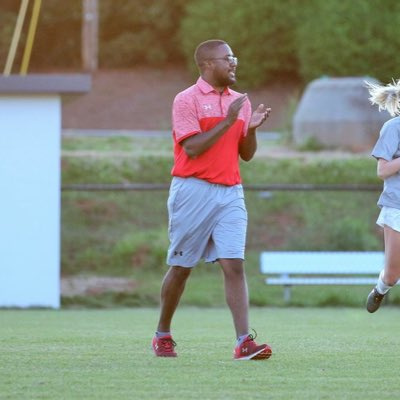 Nick currently coaches at Alabama FC ECNL, Birmingham United, and Hewitt-Trussville HS as the head boys and girls head coach. You'll find Nick's enthusiasm for the game infectious. 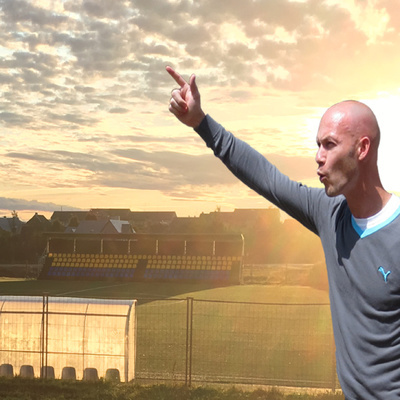 We talk about playing high school vs club, how he almost left soccer if it wasn't for some of the coaches he had in his life, and coaching egos. This is a listener supported podcast. You can support the show by going to http://anchor.fm/onthetouchline and making a small monthly contribution or by sharing the show on social media using the #OntheTouchline. DM's are always open on Twitter and Instagram @SoccerCoachJB. If you listen on Apple Podcasts be sure to leave a 5-star rating and review. 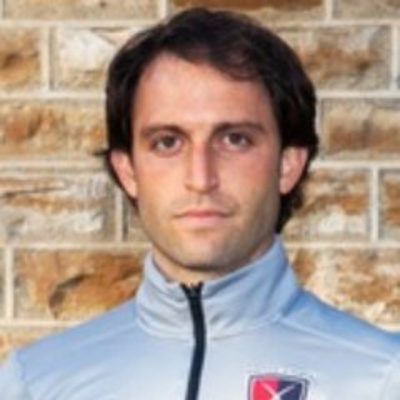 In Episode 9 of #Onthetouchline, @SoccerCoachJB talks to Alberto Gonzalez @CoachA_Gonzalez at Brookhaven FC @Brookhaven_FC near Atlanta, GA. Mental health awareness is what connected us but Alberto's story is much deeper than that. He shares his experience moving to Atlanta and working at a club where creativity and fostering an environment where players are not placed on a path to nowhere. My thanks to https://flipboard.com/ for sponsoring this episode of On the Touchline. Please leave a five star rating and review on Apple podcasts. New episodes every Wednesday. Some weeks two episodes. Episode 8: Kat Nichols and Tristan Tillette, a soccer power couple. Beau Farrell @CoachB_Farrell is a current coach at North Carolina Fusion @NC_Fusion. He shares his experiences playing, coaching, and how psychology has helped shape him as a coach. You can support this podcast by leaving a 5-star rating and review or by sharing on social media and using the hashtag #onthetouchline. 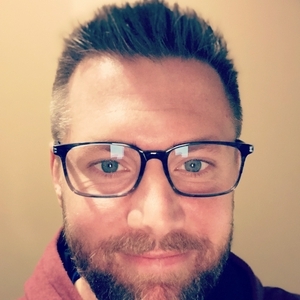 Connect with host @SoccerCoachJB on Instagram or Twitter. Episode 4: My Conversation with Ande Saporito of Beadling Soccer Club. 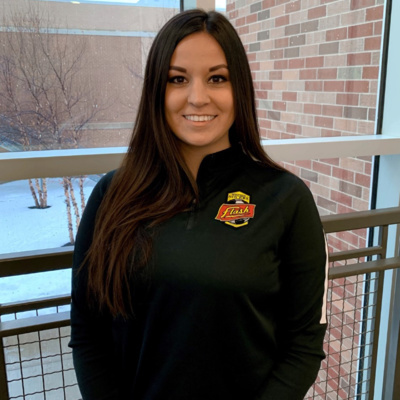 Ande Saporito is a youth soccer coach at Beadling Soccer Club - East and Azzurri FC along with running the Happy Feet program in the Pittsburgh area. @SoccerCoachJB covers “winning vs development”, instilling a love of soccer at a young age, and more in this conversation. Episode 3: Why talking about mental health as a coach is hard. 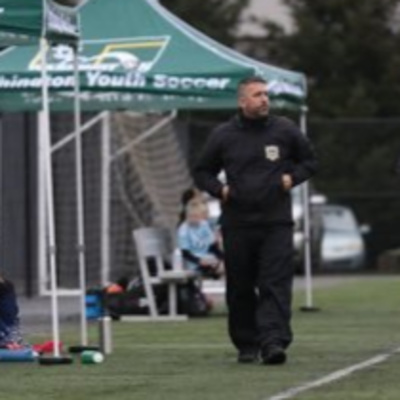 Coach Jason @SoccerCoachJB shares his story and struggle with depression and anxiety and what that has been like as a coach. This episode is for any coach or athlete, doesn’t matter the sport. @SoccerCoachJB talks with soccer coaching colleague, Shannon Matthews @ShanMatt72 of Seattle United. Episode 1: Why Your Team’s Parents Matter.